There is something fascinating about old creepy graves and tombstones with epitaphs that freeze strange messages into time. 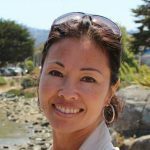 Even more interesting are the histories associated with the people in those graves – histories with enough details to wildly spark our curiosity and imagination. We’ve compiled ten great examples of some of the most creepy graves. You get a whole new perspective of graves when you hear the stories of the people inside them. Check out these 5 bizarre graves. The story of Kitty Jay’s Grave begins in the 1700s when a poor, young maid hung herself in a barn in Forder, England. It’s not clear why Kitty killed herself, but one tale says that she had been raped, while another says she fell in love and became pregnant out of wedlock. Because she was ashamed, she took her own life. As in the tradition of the time, anyone who committed suicide was committing “self-murder.” Suicide was considered a terrible sin in the 18th century. Therefore, a person who committed suicide would be buried just like executed criminals – at a crossroad. Thus, in a state of confusion, the wicked soul could never return to haunt the living. Today, her creepy grave is marked with a rough headstone and a mound of grass. An interesting detail to the story is that a mysterious person always adorns the grassy mound with flowers. Some people have also reported seeing a dark cloaked figure kneeling at her grave. 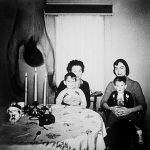 Others have reported seeing her ghost in their rearview mirror as they drive past the crossroad. Inez Clark’s statue and grave. Graceland Cemetery in Chicago, Illinois, is the resting place of a mysterious statue of a young girl encased in glass, and presumably, lies beneath the statue. Strangely, the name on the statue is Inez Clarke, but there is no record of anyone by this name buried there. The mystery appears to have been solved regarding the identity of the little girl; she may have been abandoned by her mother and raised by grandparents of a previous marriage. A number of interesting legends were created about the statue and Inez Clarke. One legend has it that Inez died in a thunderstorm while she was locked outside. It is said that during thunderstorms at the graveyard the statue disappears, and on one stormy night a watchman came upon the case but found that it was empty. He was so started by the incident that he ran away never to return. 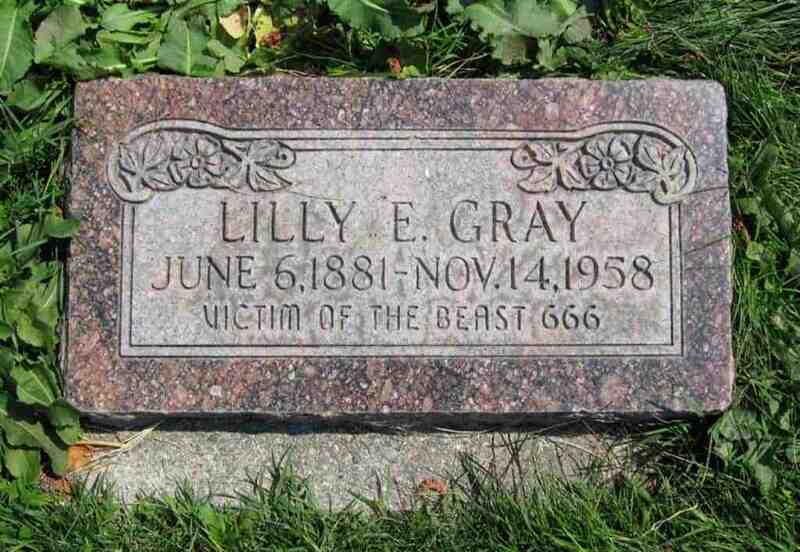 The epitaph of Mrs. Gray reads “Lilly E. Gray June 6, 1881 – Nov. 14, 1958, Victim Of The Beast 666.” This inscription is pretty bizarre, to say the least and has stirred every imaginable thought regarding demons and satanism. But, as it turns out, there isn’t really anything horrific about it, other than her husband’s deeply suspicious view of the government. 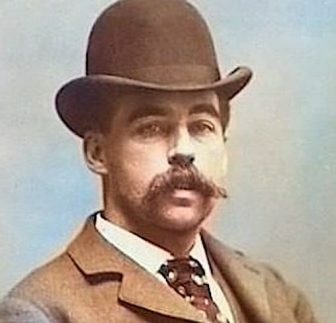 According to research conducted by Richelle Hawks, Elmer L. Gray, Lilly’s strange husband, hated the police and the justice system because of his constant run-ins with the law. He even blamed the government for his wife’s death. Elmer Gray was an angry conspiracy theorist who was probably referring to the U.S. government as the Satanic Beast written on poor Lilly’s gravestone. Rosalia Lombardo was an Italian girl born on Dec. 13, 1918. She died less than two years later on Dec. 6, 1920, of pneumonia. Her father grieved her loss so profoundly, he made arrangements to have her preserved. Her corpse was mummified and she still lies encased in glass at the Capuchin Catacombs in Palermo, Italy, for the world to view. Although the photograph appears to depict a well-preserved corpse in 1982, it has begun to decay, so her coffin was transferred to a nitrogen-filled chamber in a drier part of the catacombs. She appears to be sleeping peacefully, thanks to the work of master embalmer, Alfredo Salafia. Although this may seem like a very creepy grave to many people, it gave solace to a much-grieved family after her death. The TICO (Training Institute of Central Ohio) cemetery, also known as the Columbus State Hospital Asylum Cemetery, has an interesting history and an interesting tombstone that reads “Specimens.” The cemetery lies adjacent to what used to be a juvenile detention center (TICO). The asylum is located just behind the spot where the TICO building used to be located. The cemetery was used for indigent patients of the hospital and children who died at TICO. TICO provided maximum security incarceration for serious juvenile felony offenders and had a pretty bad reputation. There was also widespread reporting of abuses occurring there. A 1981 government report by the National Criminal Justice Reference Center stated that TICO was an example of an institution that imposed “substantial suffering and punishment on their inmates.” Examples cited included rapes, severe beatings by the guards, and children who were reportedly released but, in actuality, died there. The Specimens grave is unique because nobody really knows what’s buried under the stone. We can assume that whatever lies here is human, but anything more would just be speculation. One hypothesis is that the grave houses the remains of human body parts, organs, and tissues that removed through surgeries or used for research. Does this grave simply house kidneys, tumors and limbs of patients and juvenile offenders? Your guess is as good as ours. It is uncertain what lies under the stone. Someone wrote in response to an article that was published on graveaddiction.com and said that he was one of the kids at TICO when they were medicating the inmates with Triavil 4-50. This medication is an anti-depressant and antipsychotic drug. He also said some of the kids didn’t “make it” and were buried at the cemetery under the “Specimens” stone. These details cannot be verified, however, it makes for great fodder for the imagination. In 1977, the body of an infant girl just a few weeks old was pulled up in the Walnut Creek part of the Delaware River by two men who were bait fishing. She had been placed in a garbage bag and dumped there. A pathologist believes she was alive when she was put into the bag, which would have made it a murder. However, the case was never solved. Tissue samples of the baby were taken when she was found, and fortunately, they were kept on ice; the case has been reopened and investigators are now tracking new leads. Giles Corey Memorial Marker in Salem. Wiki Commons. 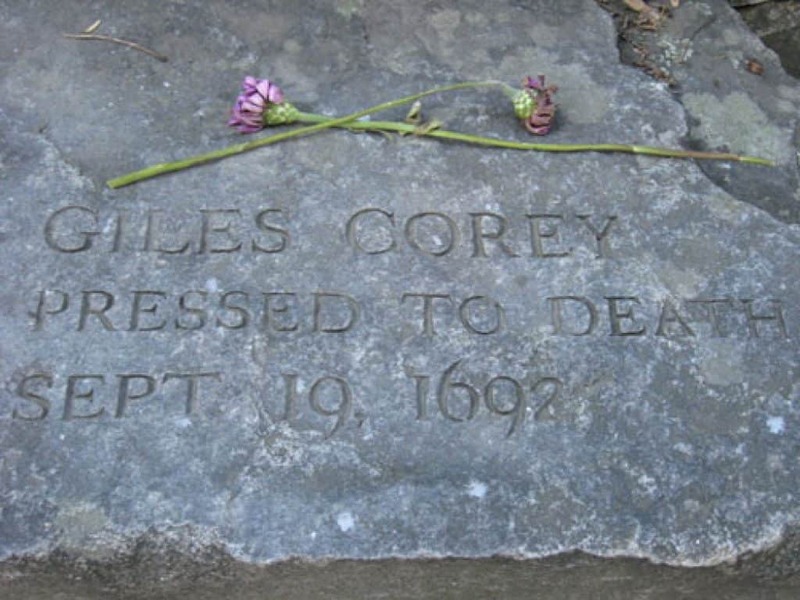 Giles Corey’s headstone reads, “Giles Corey Pressed to Death Sept. 19, 1692. According to his epitaph, Giles Corey suffered an unimaginable death at the hands of Salem witch hunters. He had been arrested in April of that year and was accused of being a warlock. Instead of pleading guilty or not guilty, he remained silent on the matter. As was commonplace in those days, torture was used as a means to force a confession. Giles was initially loaded down with a board that covered his naked body. The board was piled with large, heavy stones, but he still refused to plead, and he remained silent without crying out. The board was removed and the stones were placed directly on top of Giles’ body, but again he said nothing except: More weight! His torturers complied and put even more weight upon him until he finally died – two days after his torture began. Nobody knows where this man truly came from or where else he had been. 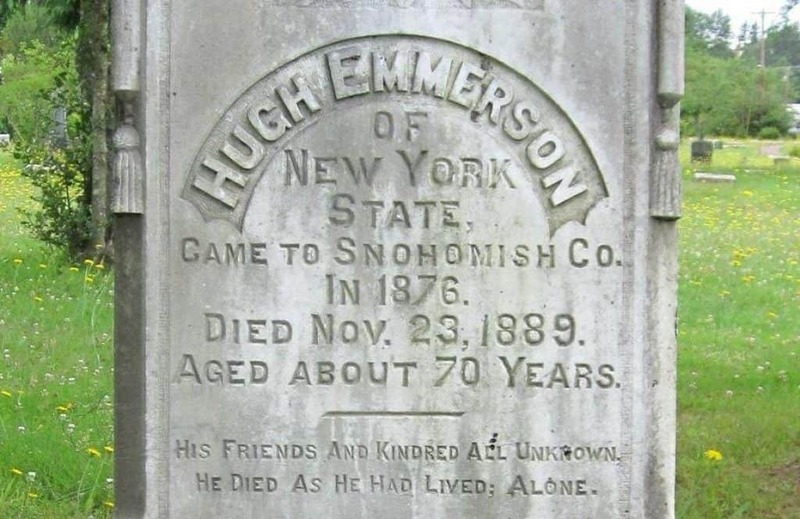 On one census, Hugh Emmerson reported he was born in New York, while on another he said Vermont. Even the birth years are off by one year. Sadly, perhaps nobody even cared. Where did the money come from to give him such a nice burial and headstone? This would not have been considered a pauper’s grave, especially in the 1800s. Perhaps he had amassed some wealth. And why would he travel across the country all alone around the age of 54 just to live and die alone? The mysterious details of Hugh’s life may never be known. 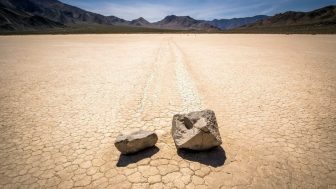 They appear to be, like the man, buried and gone forever. One of the most unusual grave markers is that of Herman Harband. If we are to believe this epitaph, poor Herman had a greedy, mean wife who took all his money, tried to poison him, and literally left him in the dark. As it turns out, according to the Find A Grave website, Herman was not really buried here. Supposedly, he owned a cemetery plot in this spot at the Beth David Memorial Gardens, and after he died, someone felt compelled to spend the money for this stone and erected it here. Herman’s body actually lies elsewhere. Also according to Findagrave, his wife sold the empty plot back to the cemetery and they took the stone down, as she requested. But this photograph was already well-circulated across the Internet. This creepy grave no longer exists. An example of graves with windows is that of Timothy Clark Smith’. This is probably one the most strange gravestones. During the eighteenth and nineteenth centuries, a widespread fear of being buried alive surfaced in western society. The actual medical term is called taphephobia. This fear correlated with cholera outbreaks and rampant reports by doctors of victims coming back to life after a doctor had pronounced them dead. Stories of people found in their graves after they tried to claw and scratch their way out fueled this fear even more. Edgar Allen Poe even published a book about victims of premature burial in 1844. As a result, this sweeping fear led to a number of inventions for safety coffins. With these new features, a person could breathe via tubes, sound an alarm via bells, or see out through windows. This ensured a plausible escape from the burial chamber in case someone was buried prematurely. This type of grave can be found at Timothy Clark Smith’s gravesite. Smith was a doctor who died in 1893. He lived during the height of taphephobia and he had a profound case of it. Prior to his death, Smith made arrangements to have special features built into his burial chamber. Today, you can see the 4 square foot window that sits six feet above his face. But with age and wear, the view is cloudy. There’s also a capstone next to his burial mound. 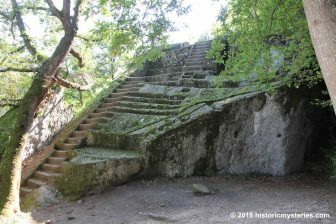 Supposedly it has a staircase that leads out from the grave. Reports state he is also buried with a bell and air tube. These special features appear to have gone unused, so suffice it to say he was probably really dead. Who Was Mary Magdalene According to The Gospel of Mary?